Here are some images I just took of a SwitchLinc installation, the same applies for all others such as Keylincs, Icons Relays, Dimmers etc. Like the manual you have to identify your Neutral, Hot or Line, and your Load. 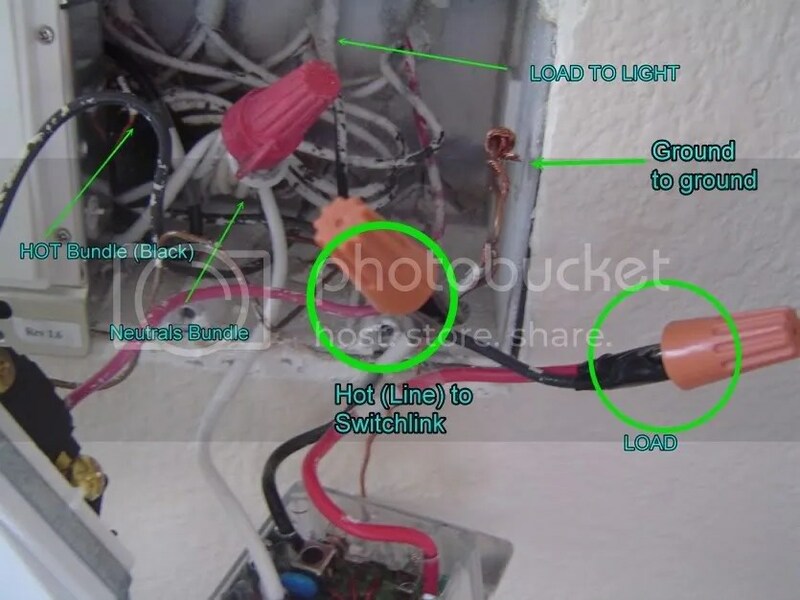 I ALWAYS turn off the breaker and make sure non of the switches im working on work. I’ve gotten many zaps as a kid and there not fun. Also make sure the switch is setup the upwards, the address should be on the bottom left side (At least for the switchlincs and Icons). Icon switches will have their LED on the left side of the switch. To Identify the cables I usually look for the big bundle of for Neutral and the Load. 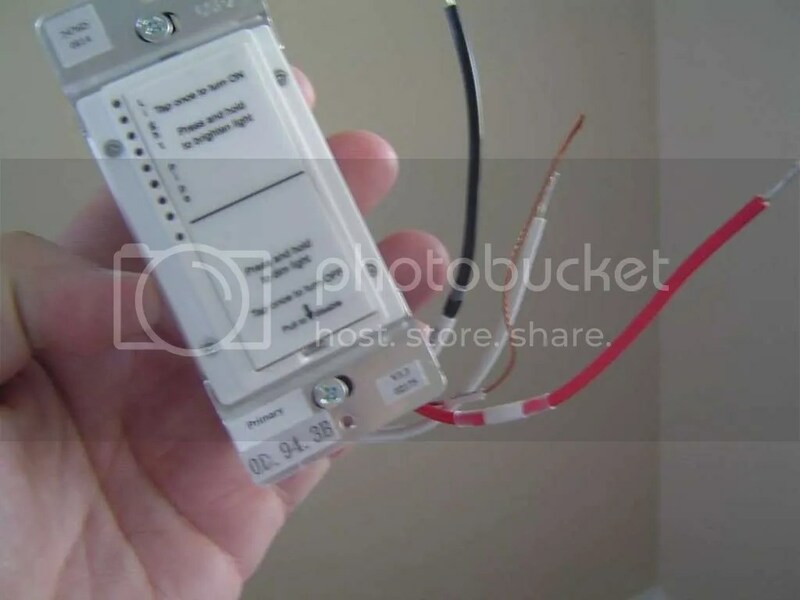 If its the first Insteon device you plug in you will see that neutrals not connected to any switch. And the load (Which is off to the light is usually alone or going out. 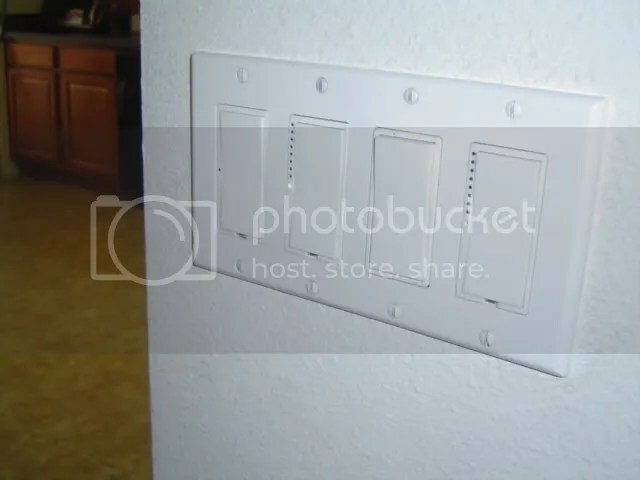 is the one towards the light fixture. 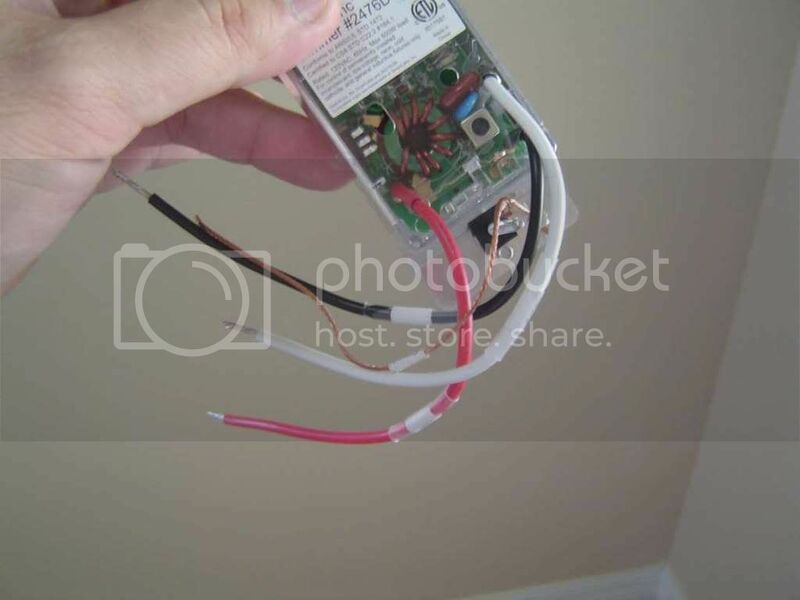 In this case its a black wire. The ground is the bare cable ground, that’s a easy one. 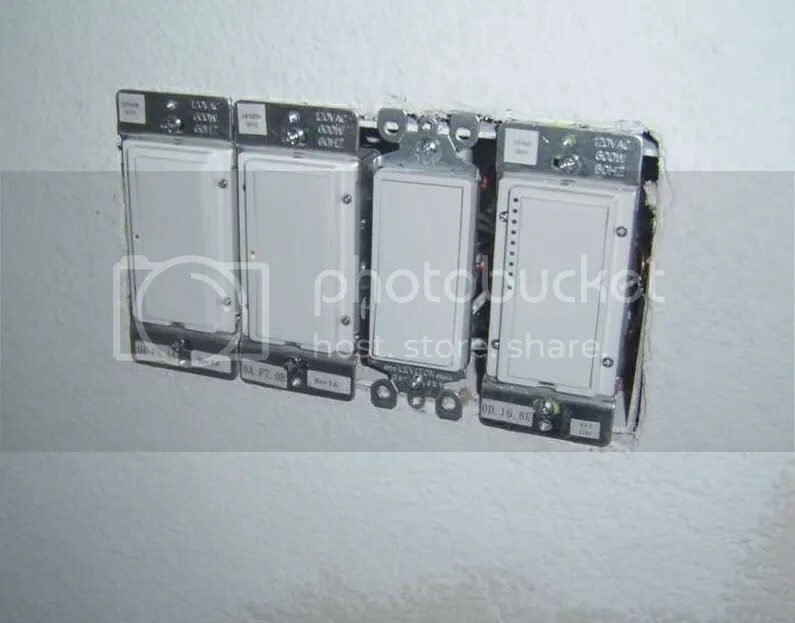 2 ICON Dimmers, one regular Decora on/off switch and a Switchlinc, and a unfinished painted wall.